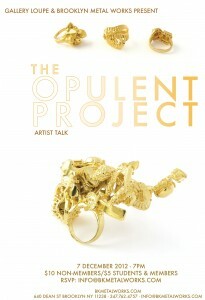 Please join us for a lecture by the founders of The Opulent Project, Meg Drinkwater and Erin Gardner. Based in Portland, Oregon T.O.P. 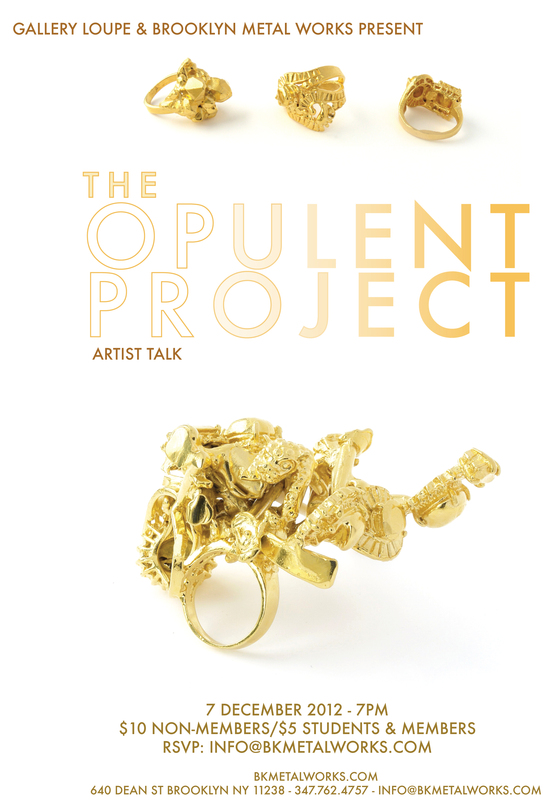 will be here is discuss their collaboration and current works on December 7th at 7pm in the gallery.